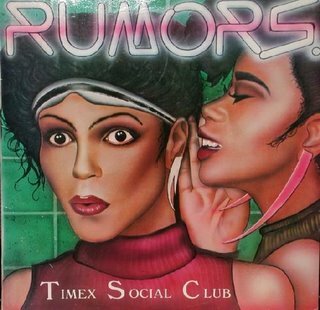 The Timex Social Club was one of the most leading-edge R&B groups formed in 1982.They were best known for their 1986 hit single” Rumors”, as well as being the creators of the New Jack Swing Movement. The Groups members were Michael Marshall, Craig Samuel, Marcus Thompson and Alex Hill . They were originally known as the Timex Crew, members included Marcus Thompson (founder), Gregory “Greg B” Thomas, Michael Marshall, Craig Samuel, and Darrien Cleage. By 1986, Samuel, Cleage, and Thomas had departed, Alex Hill and Kevin Moore were added, and the name Timex Social Club was adopted. They specialized in both old school hip hop and the merger of urban R&B with hip-hop rhythms, which were later known as new jack swing. In 1986, they released the Vicious Rumors album on Danya/Fantasy Records. Its one major hit, “Rumors”, peaked at #8 on the Billboard Hot 100; it reached #1, #13 in the UK and #1 on US Billboard R&B, Hot Black Singles-Sales, Hot Black Singles-Airplay, US Hot Dance Club Play, and Hot Dance/Disco-12 inch Singles-Sales charts. The two follow-up singles, “Thinkin’ About Ya” and “Mixed-Up World”, reached the R&B Top 20. Although The Timex Social Club still tour,there are no tours dates scheduled for 2016 . They can also be booked for Old School 80’s concerts, private parties and appearances. Their records still surface on Pop and R&B radio, especially during old-school mix shows. STILL HAVEN’T FOUND THE PERFECT MOTHER’S DAY GIFT? THE MOTHERS DAY R&B COUNT DOWN BEGINS!